I think I’ll stick with my classic bait and snap traps and save the electricity for moths and squirrels. BZZZZZTTZZZTZTZ! Ooh, the lights flickered. Hehe, that was a big one! 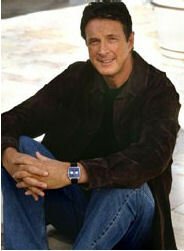 I was very disheartened to find out today that one of my favorite authors, Michael Crichton, died last week. Michael passed suddenly from a long-standing and private battle with cancer. The late author’s family has understandably asked for privacy during their difficult time and not much information has been released to the public. Crichton wrote such books as Jurassic Park, Disclosure, Congo, Eaters of the Dead (Movie title: The 13th Warrior), Rising Sun and many other fantastic fiction and non-fiction novels. He also was heavily involved in the movie and television business bringing us ER, Twister, and others. I will miss Mr. Crichton’s works greatly and look forward to reading his final work that is thus far to be published next year, posthumously. Good bye Michael, and thank you!